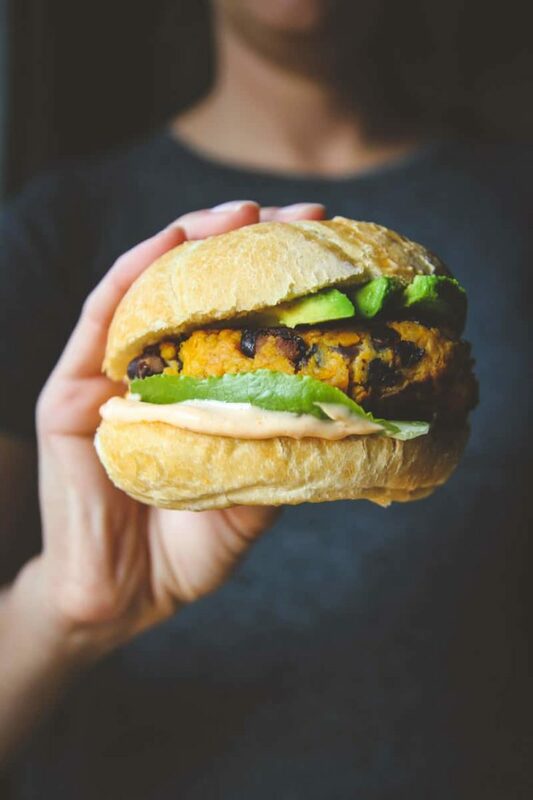 These easy weeknight sweet potato burgers are done in 20 minutes, and are so delicious they’ll be put on the meatless Monday rotation! During the week, time after work seems to pass faster than anything I’ve ever experienced. I blame it on Ben lol, in the best way possible. I happened to have a lone sweet potato in my refrigerator (it was a pretty big one) and a 1/2 used can of spicy black beans and made up this recipe on the fly. I tried something new: I microwaved the sweet potato instead of boiling it, and it took so much less time and worked so well, it’s now my favorite way to make mashed sweet potato for these sweet potato burgers! You can use any kind of black beans you want: plain black beans, spicy black beans, or chili black beans, they all work! When the sweet potato is done cooking, you drain the water and then mix up the burgers and cook them for a few minutes in a pan on the stove top. Then you assemble your burger and you’ve got yourself an amazing and easy weeknight vegetarian dinner! 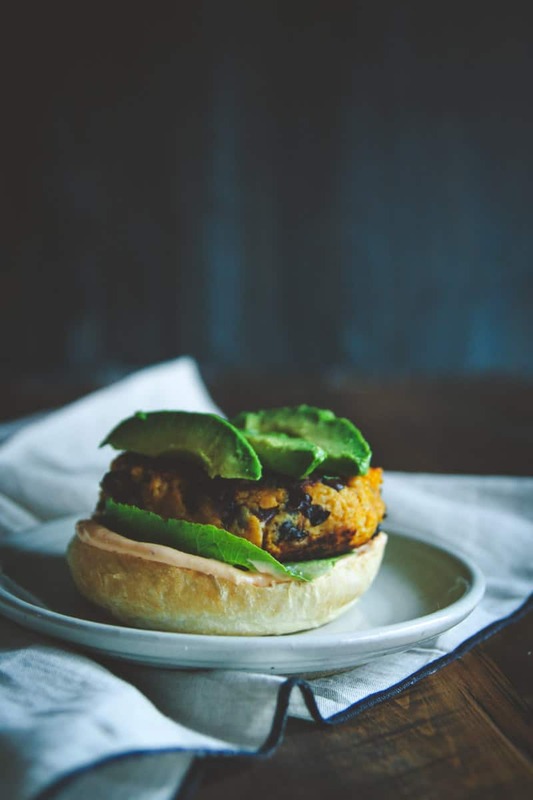 These sweet potato burgers have a really good taste and fill you up, they’re hearty and soooo good! 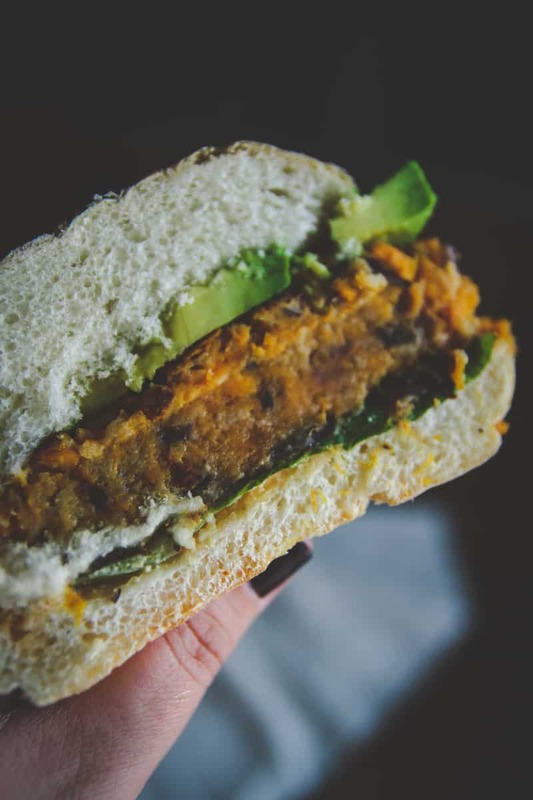 I took them to work for a week straight and have not been able to stop raving about them, these sweet potato burgers are one of my favorite recipes I’ve created, my hubby agrees, he loves these too, so now they’re made on repeat over at our house. 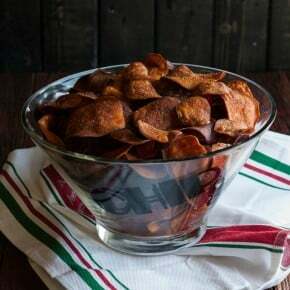 Put sweet potato pieces in a microwave safe container and cover with water. 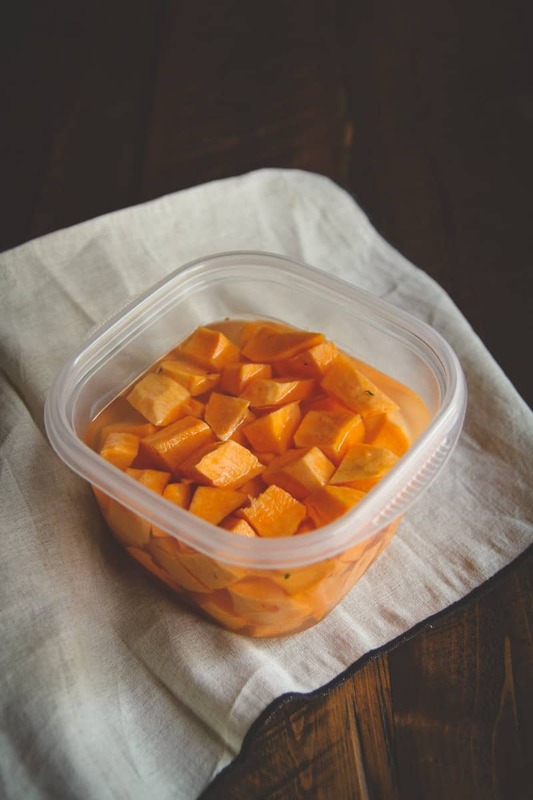 Microwave on high for 5 minutes, stir, then microwave another 5 minutes, or until sweet potatoes are tender when poked with a fork (this may take up to 15 minutes, mine usually cook between 10-12 minutes). Remove from microwave (careful, they will be hot). Drain the water, mash (I like to use a simple masher like this). 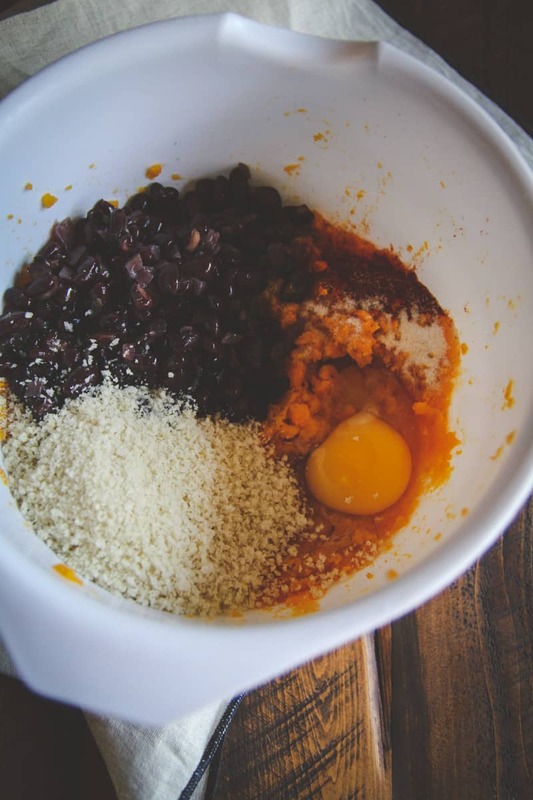 Add black beans, egg, bread crumbs, cumin, chili powder, and salt and stir to combine. 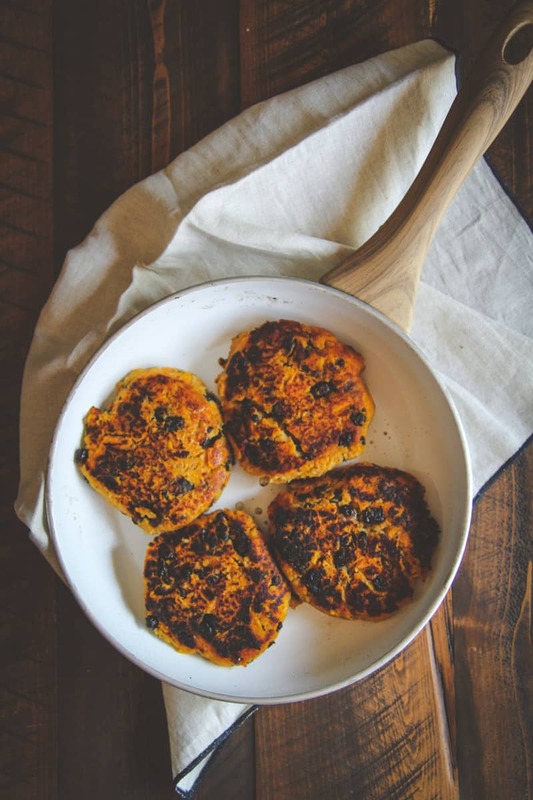 In a pan over high heat add olive oil, then using hands form 4 sweet potato patties and put them in the pan. Cook each side for 3 minutes, or until browned. 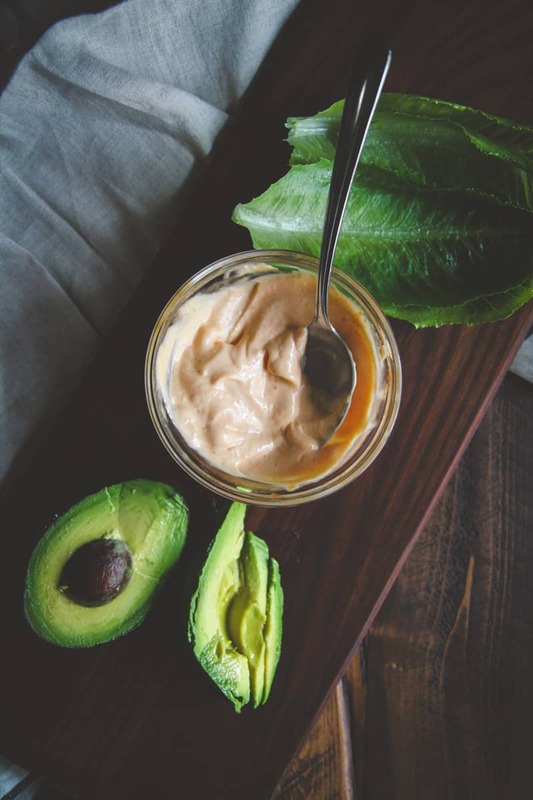 To make the sriracha mayo combine the sriracha and mayo and put in the refrigerator until ready to enjoy. To assemble the burgers on the bottom bun spread sriracha mayo, lettuce, then a sweet potato burger, top with avocado slices and top with bun, then enjoy! Ooh these are right up my alley! 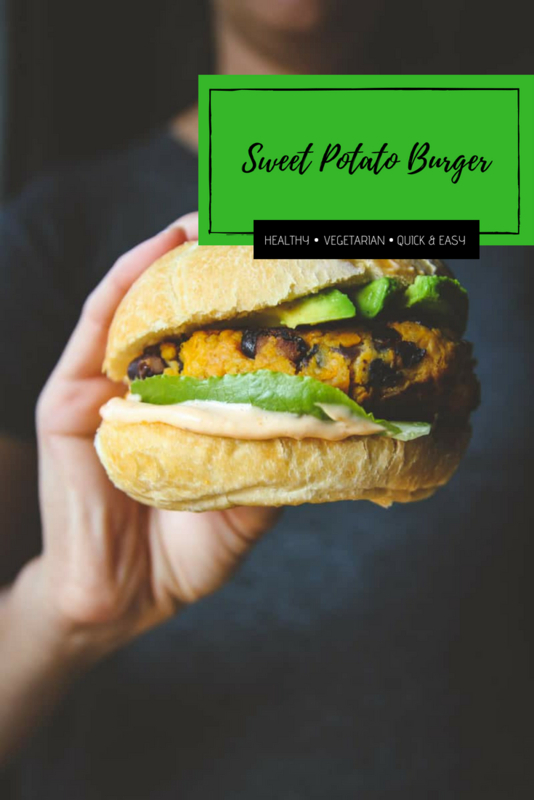 I love sweet potatoes and love all the spices in these burgers! These sound amazing! Can’t wait to try. Looks delicious and perfect for a busy week! These definitely are! They’ve saved me from ordering take out more than a time or two lol! These are amazing. I’ve made them a few times and love them. So easy and tasty! So happy to hear you love these as much as I do, thank you SO MUCH for leaving feedback and commenting! I made these tonight for my 11 month old baby! I just omitted the salt and spices since I wasn’t sure how he would react to them, and I made 8 smaller patties. He absolutely LOVES them! I froze the leftovers for future meals, thank you so much for the recipe! Thank you SO MUCH for this lovely comment!! 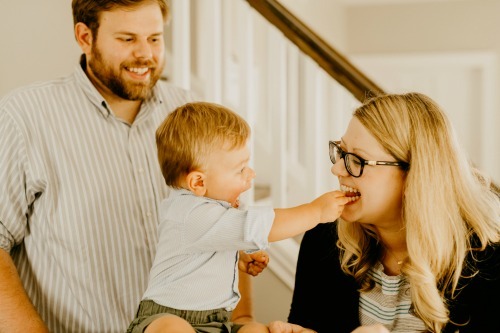 I absolutely love that you made it for your baby and froze the leftovers! !